If you're in America, they're available at Kmart too. 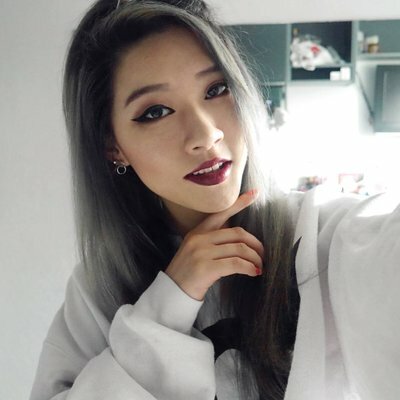 Koreans are known for their love for spicy food. 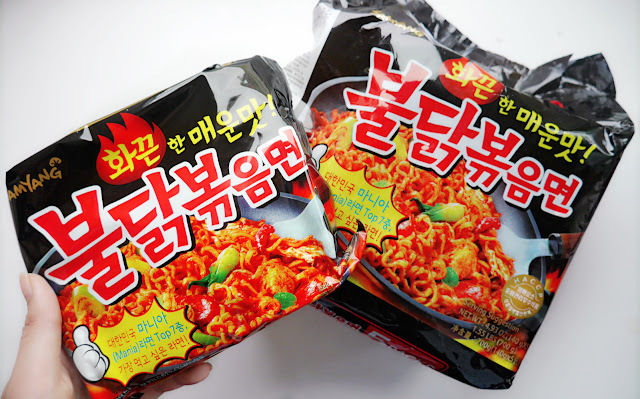 These noodles have taken a craze burning tongues in Korea and overseas, from Singapore to England. 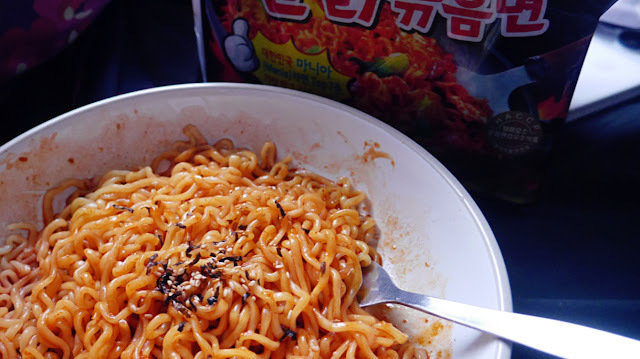 Samyang's Buldak Bokkeum Myeon, said to be Korea's rank 3rd spiciest instant noodles! Challenged by friend Alex, I gathered my courage to take on this challenge. Mini cooking tutorial. xDD To prepare the noodles, first cook or boil the noodles until soft. 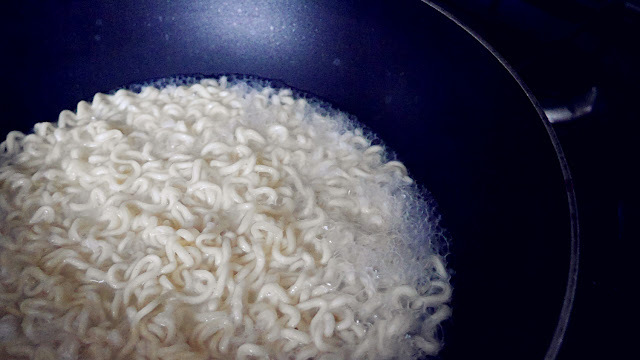 Then drain the water and left the noodle dry. The noodles are slighter thicker than regular ones. 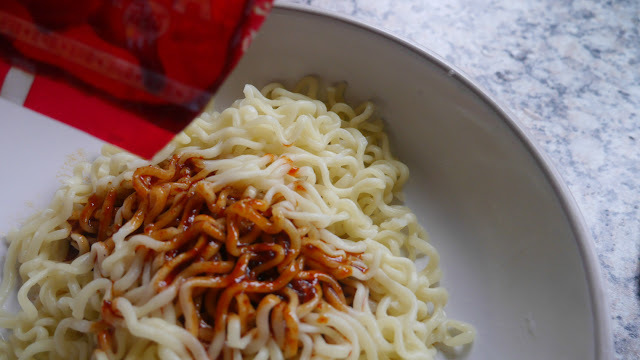 Add the hot sauce and mix it until its saturated throughout the noodles. Top it off with the seasonings to finish. I ate these noodles on a empty stomach and OH BOY that was not a wise decision, my stomach was feeling weird the whole day and next after. I shall also mention it messes up your barrel lolol, it smells. >< Two of my friends said their bum was burning too hahaha, I will stop here before I get into too much info. Omg I'd be too scared to eat it >< I can't handle spicy food well. Hahahahaha I love your vid too, you're so cute! it's one of my favorite noodle! the spice kills but it's really addictive!